A clever twist on the classic floppy beanie. 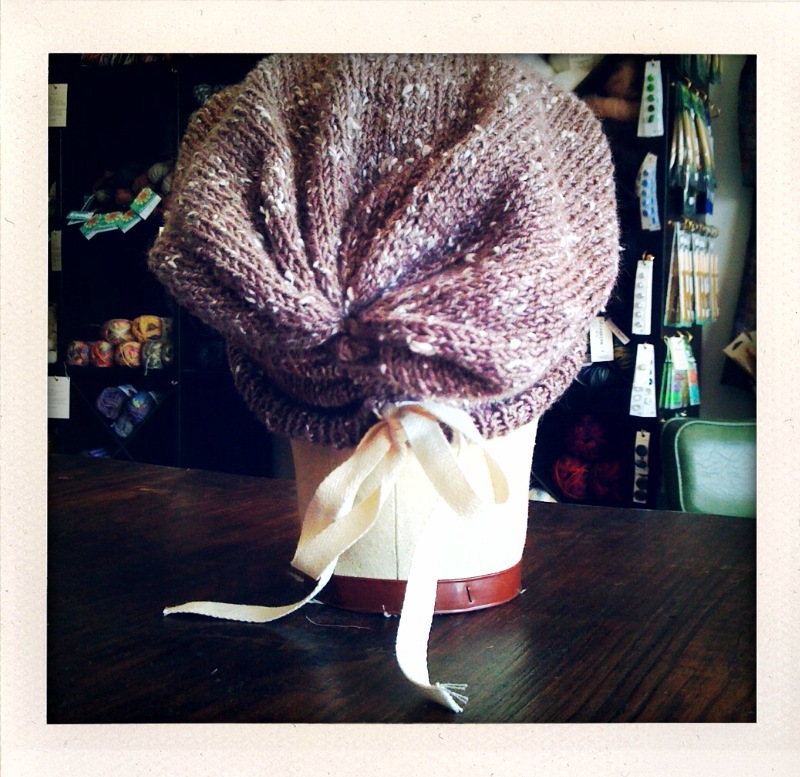 Customize this slouchy, scrunched beanie with whatever ribbon or cord you like. 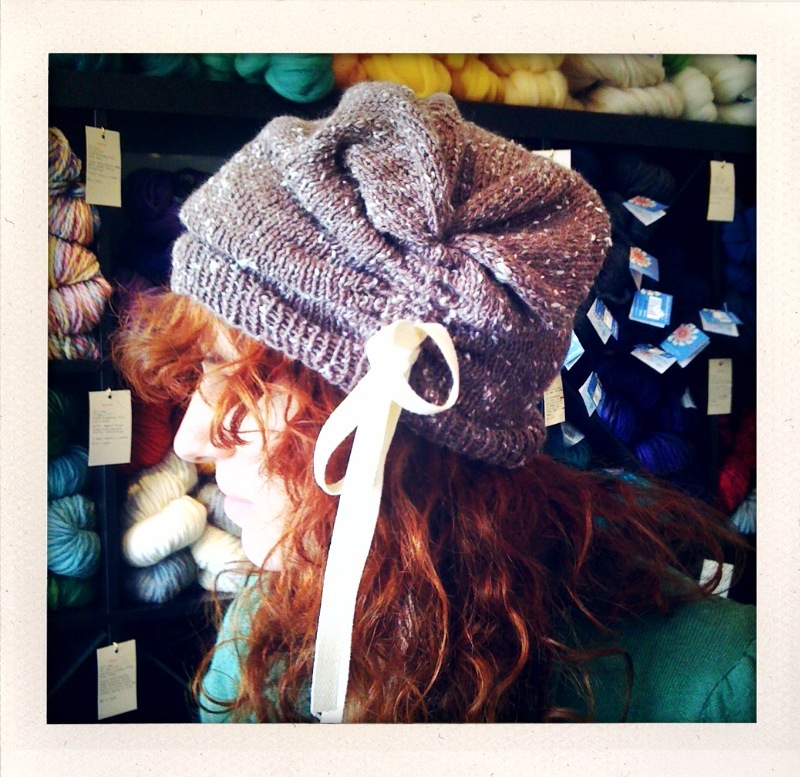 The hat is made like an extra tall beanie, with eyelets at the beginning and end of every few rows to run the ribbon through for scrunching later. Wear the scrunch at the back or side. I knit mine using Louisa Harding Willow Tweed, a light worsted silk and merino with a white tweed fleck and a white canvas hemtape!